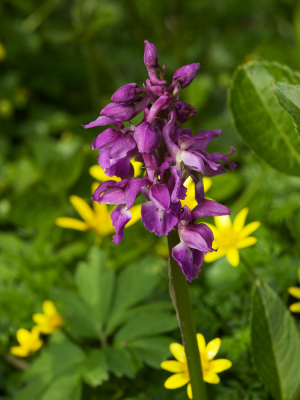 Early-purple Orchid amongst Lesser Celandine. Not so early this year - the cold March weather seems to have held them back, as has the lack of rainfall for 4 weeks here in the south of England. This was the only one I saw in flower in an area where I've seen dozens at the same time of year.